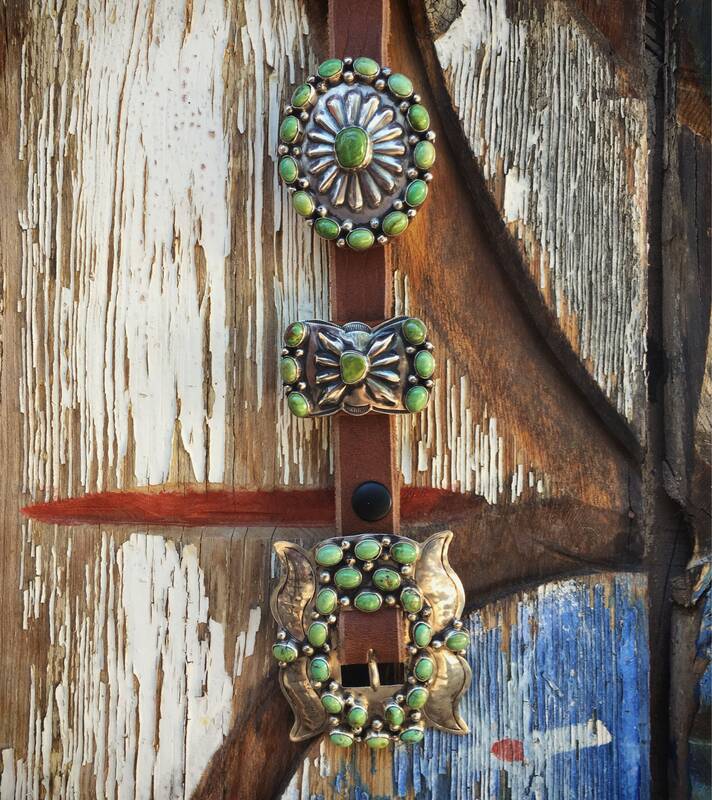 This may be one of the most striking Native American belts (or "jewelry" for that matter) I've come across. 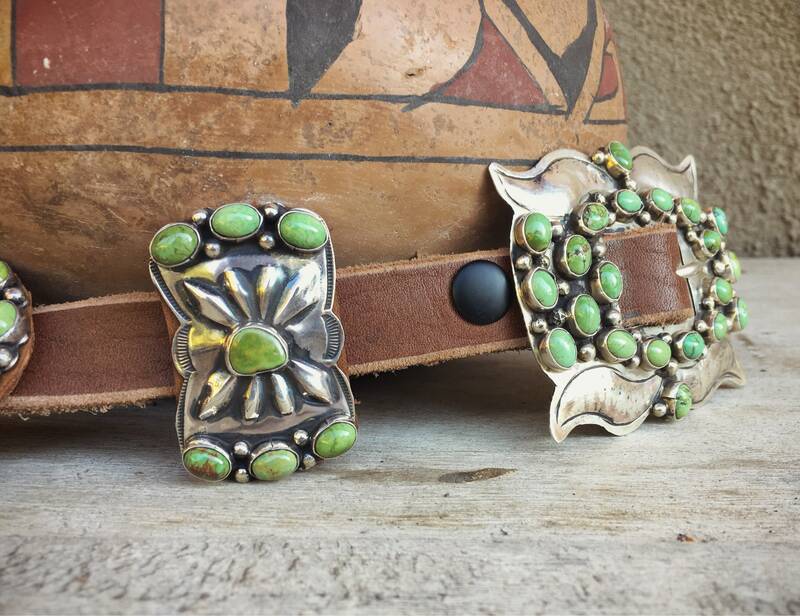 Made by Navajo Jimmy Emerson, who has been working in this form for decades and today produces more affordable belts (often of German silver). 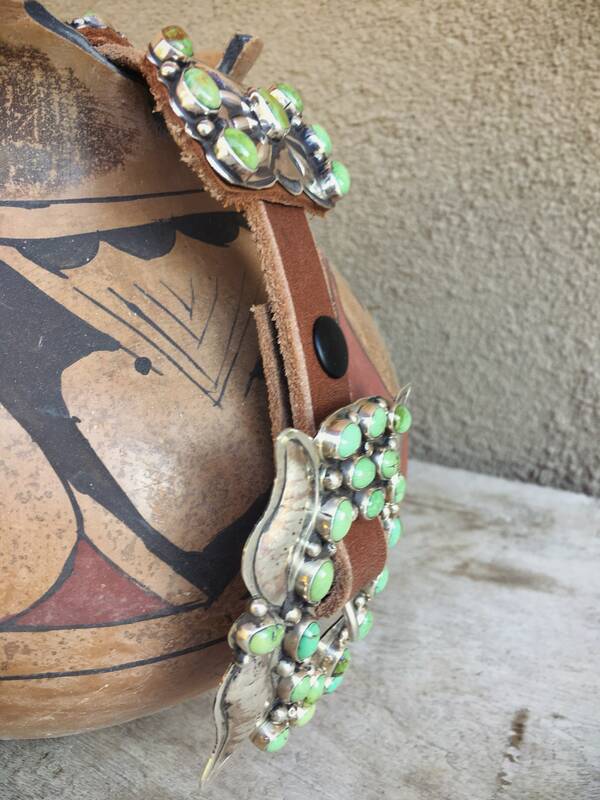 The belt you see here, however, is an older piece, purchased from a liquidated trading post estate. 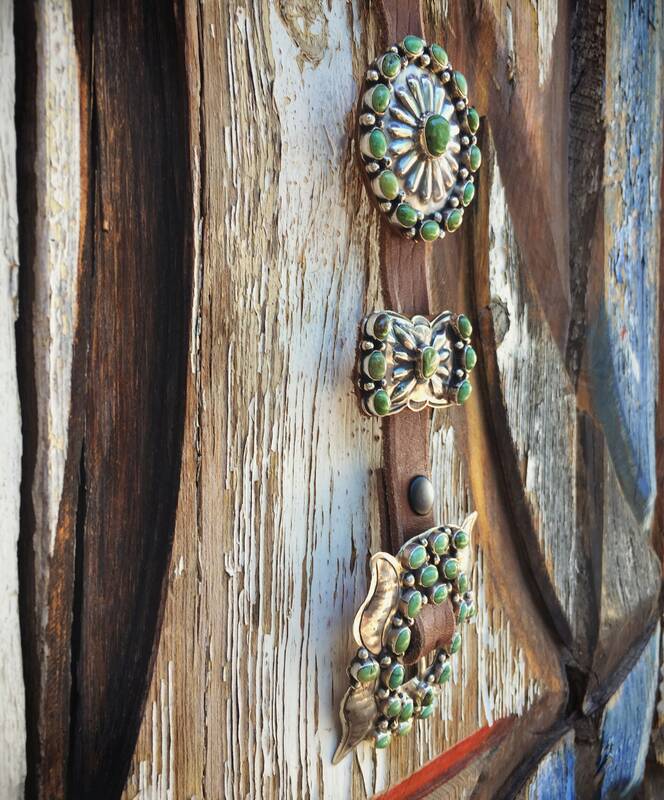 The leather belt has some wear and is super supple yet has no holes punched into it. 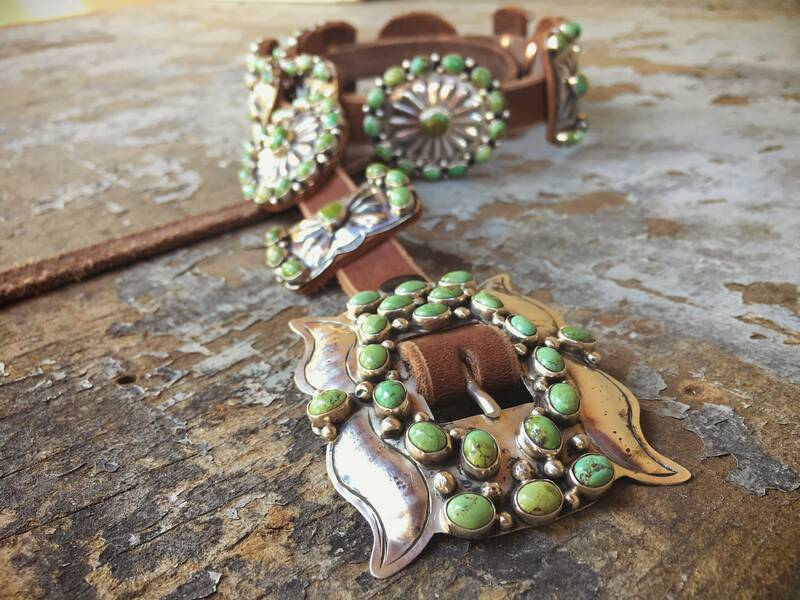 The metal is sterling silver and what's most amazing is the gorgeous green turquoise--from light and creamy to more vibrant--with brown matrix, from the Nevada Royston area. Emerson's newer belts of German silver (which actually have no silver content at all) go for $700-1200. 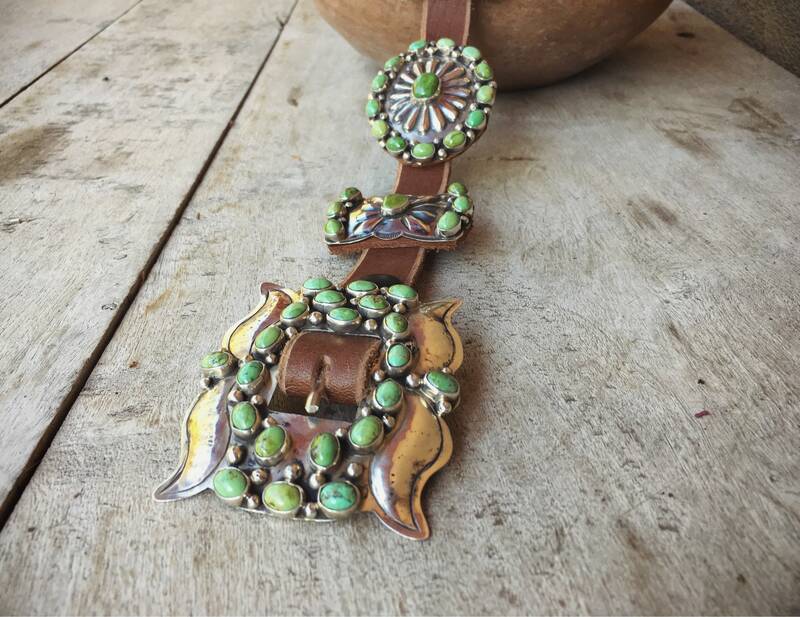 This belt, in contrast, is an heirloom piece that because of the sterling silver content and the high grade American turquoise will only appreciate over time. 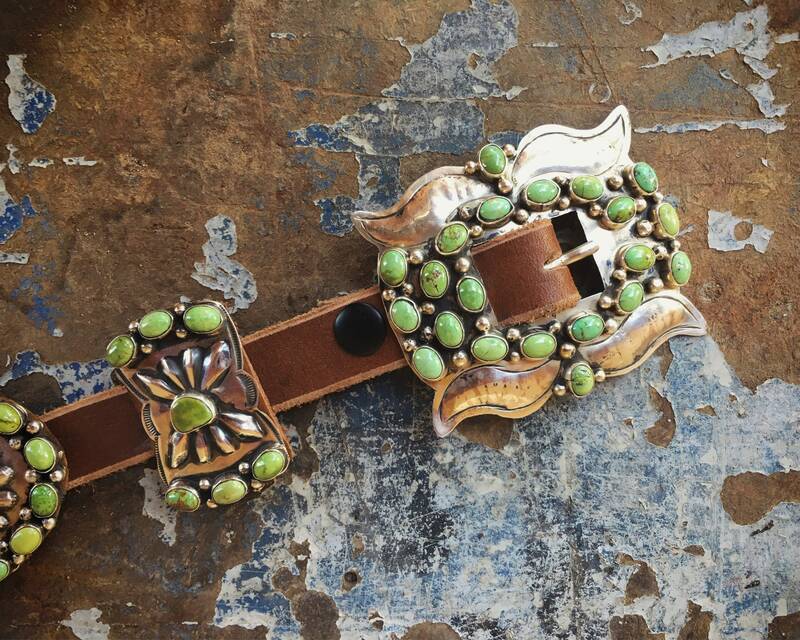 The belt has 14 total conchos not including the buckle. Check measurements below carefully, as the belt imay be worn around the waist or hips. 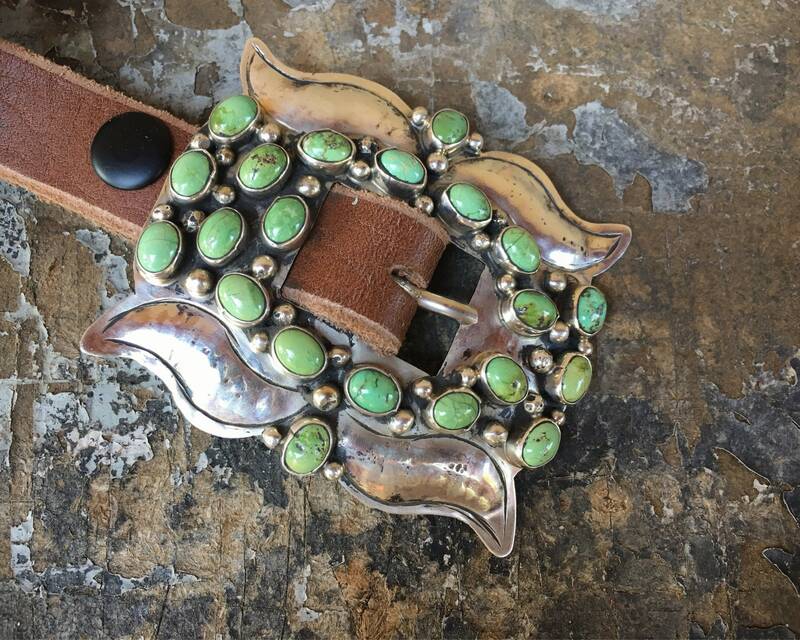 Just know that to wear around the waist with jeans, you'll need to check belt loop size to make sure the conchos will fit. Weighs about 12 ozs unpacked including leather belt. 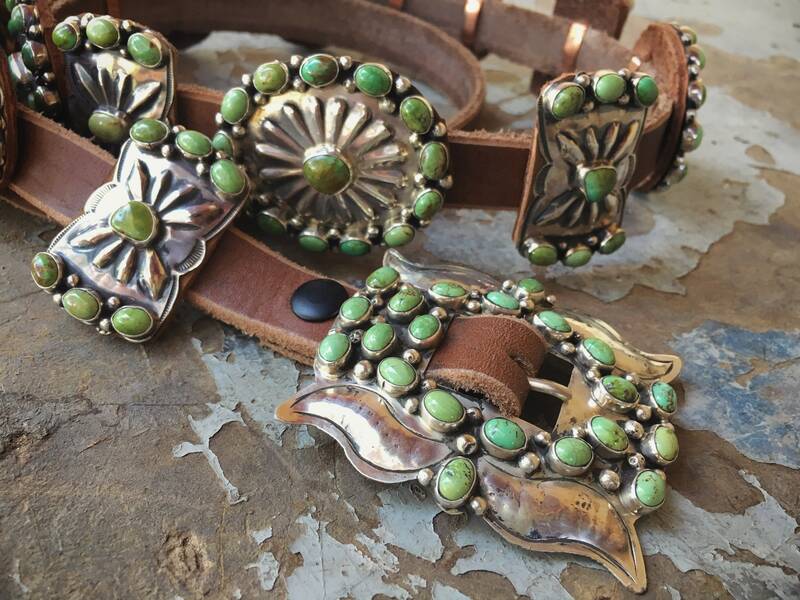 Note that leather belt does not have holes and can be sized to anywhere between about 36" to 50"
Leather belt width: about 3/4"
Oval Conchos: about 2-3/8" by 2"
Butterfly Conchos: 1-1/4" by 2""
Belt Sizing rule of thumb: Conchos can be worn low on the hips or around the waist. To size for hips, take your hip size and add 4” to it. For example: 34 hips = 38" belt size. 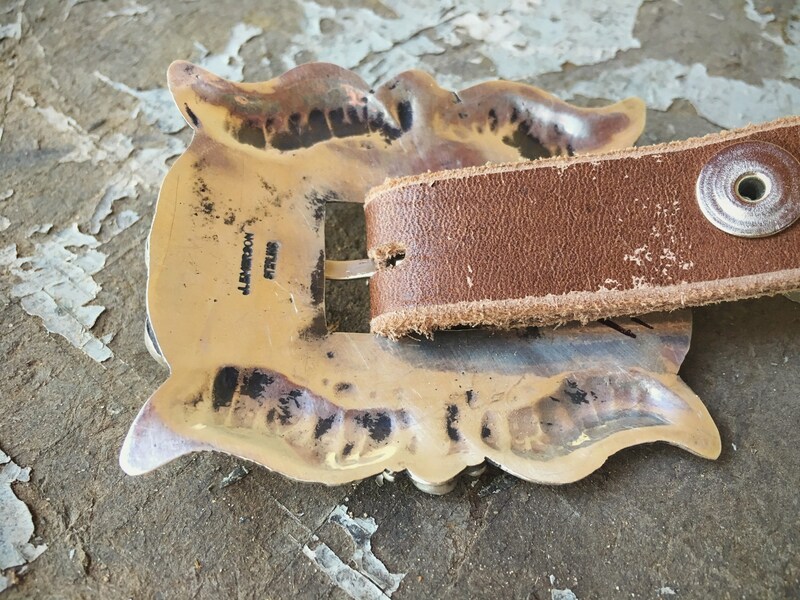 Given that no holes have been punched, this belt could be sized to anywhere between about 36-50", making it a great unisex size.